Getting Your Read On: My Two E-book Giveaway Ends Tomorrow! Don't miss out on Derrolyn Anderson's fabulous giveaways that end Wednesday. 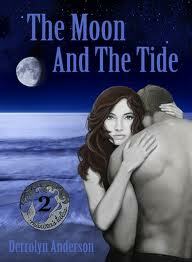 She is giving TWO sets of her TWO ebooks in the Marina's Tales series. Between the Land and the Sea and The Moon and the Tide. I really enjoyed these books! You can find the giveaway details here or by clicking the link on the side bar.